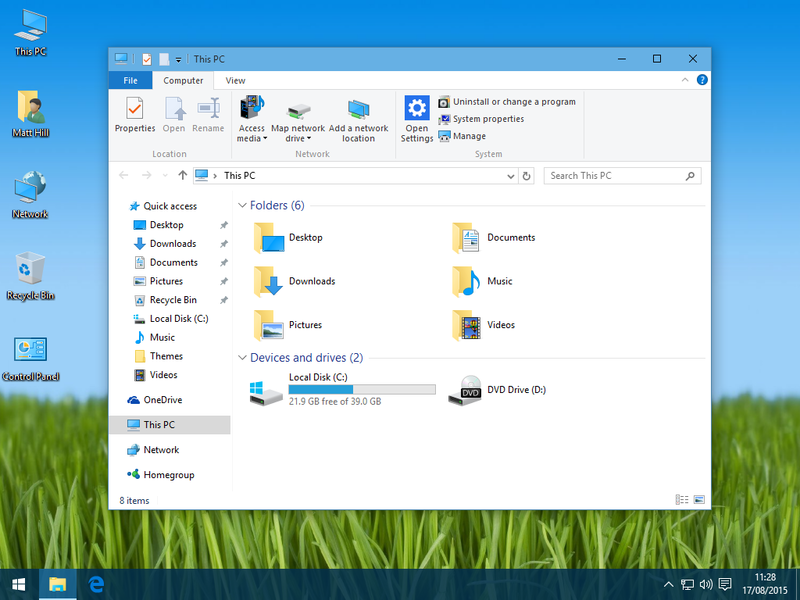 Update: The Windows 10 1511 Build 10586 released in November 2015 now nativity supports colored title bars. The title bar colours can be configured in Settings > Personalise > Colours. The white title bar for active Windows on Windows 10 is a bit bland / lifeless and it can often make it quite hard to distinguish between and active window or an inactive window. Plus lets be honest a bit of colour never hurt anyone, especially if you are spending 8+ hours a day using a PC. So how do i get a colored title bar on Windows 10 and add some colour on my desktop? First you need to download the Colored Title Bar Theme for Windows 10 created by Mare-M on DeviantArt. 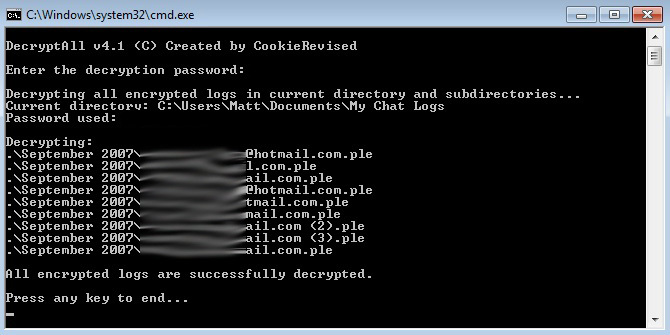 You will also need UxStyle Community Edition, UxStyle allows Windows 10 to load unsigned themes, essentially user created themes which were very popular in the Windows XP days. The latest version can be downloaded from UxStyle project page on Github. Unzip then install UxStyle, this consists of a tiny system service and a kernel driver that are loaded into memory which patches Windows on the fly to allow unsigned themes to load, meaning no system files are modified. 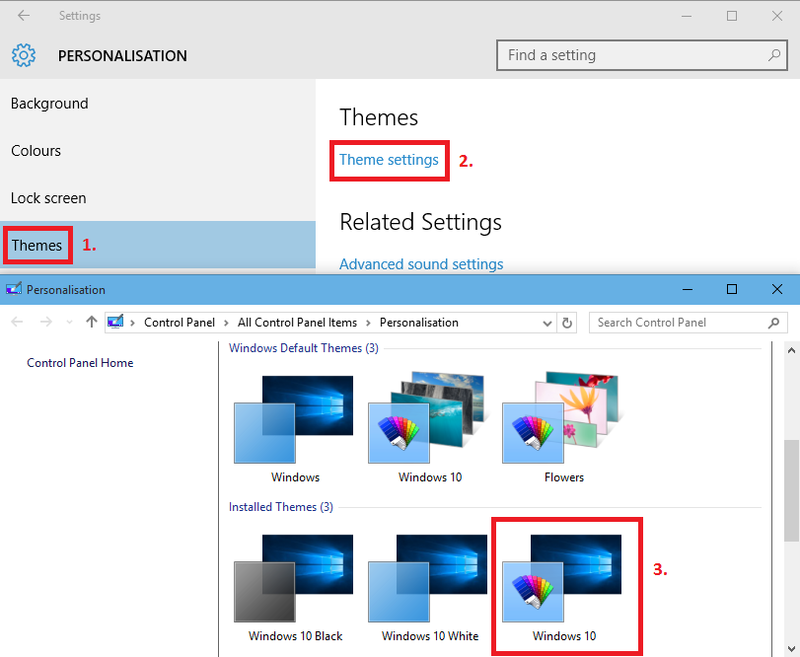 Now you can simply load the Windows 10 “Settings” app, go to Personalisation > Themes then click on Theme settings. If you want a Windows 10 black or white theme choose the appropriate one, however to have a colored theme you can control select the “Windows 10” theme with the colored icon as shown above. 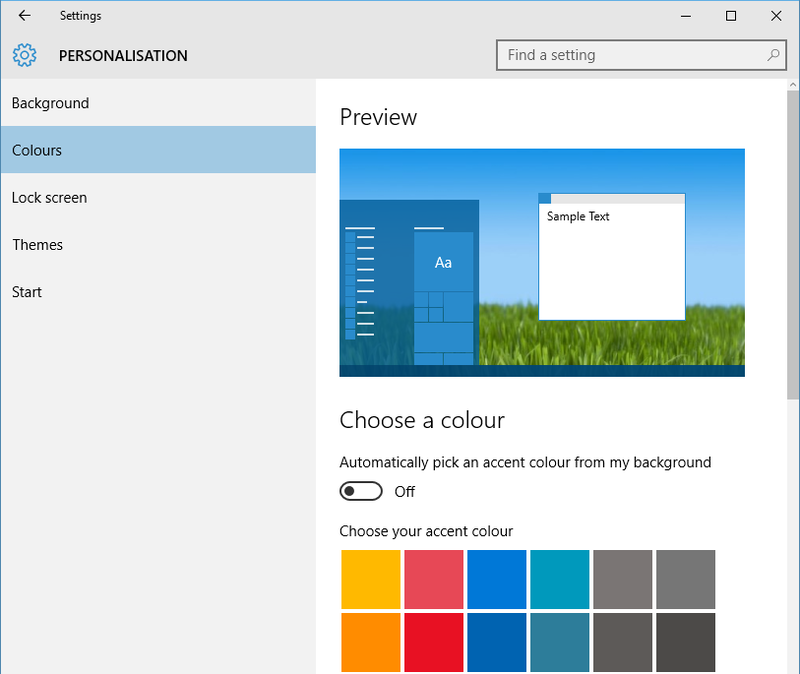 Of course if you want a random title bar colour you can let windows automatically choose one based on your current background, this can allow for colours you cant normally choose from. You should then have a colored title bar, just like in Windows 8. Below you can see I have a nice light blue title bar, much nicer than the default white i’m sure you will agree! 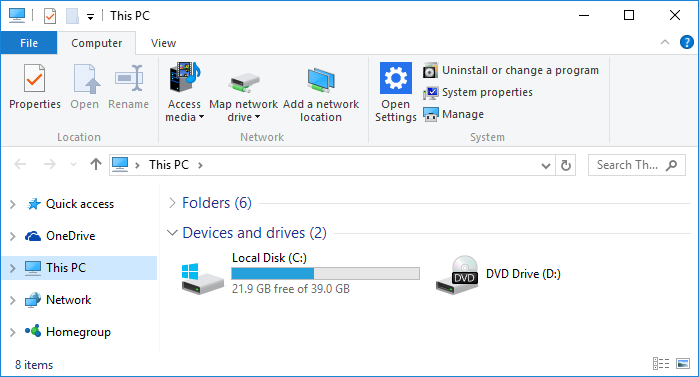 By default the Windows 10 File Explorer opens to the quick access folder by default, personally i dont find that at all useful and would sooner it open “This PC” (My Computer) so I can have easy access to hard drives, connected devices and network shares. Thankfully the Windows 10 file explorer can be made to open This PC by default, it even has its own setting hidden away, so no registry hacks are required like on Windows 8. 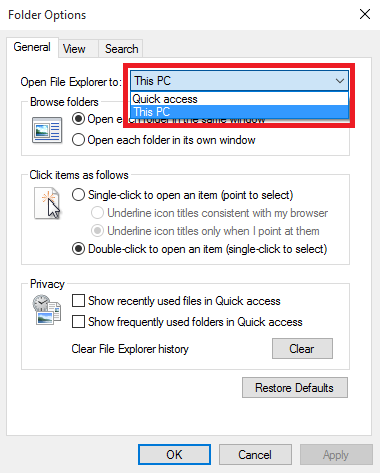 When you click on ok you have done it, now when you open a new file explorer windows it will default to opening “This PC” from now on. I hope this helps someone out, again easy once you know where to look!